Buddha—Shakyamuni Buddha, the historical Buddha. Literally, awakened one, thus one who has achieved the enlightenment that leads to release from the cycle of birth and death. Dharma—the teachings of Shakyamuni Buddha, also the law or true nature of existence. 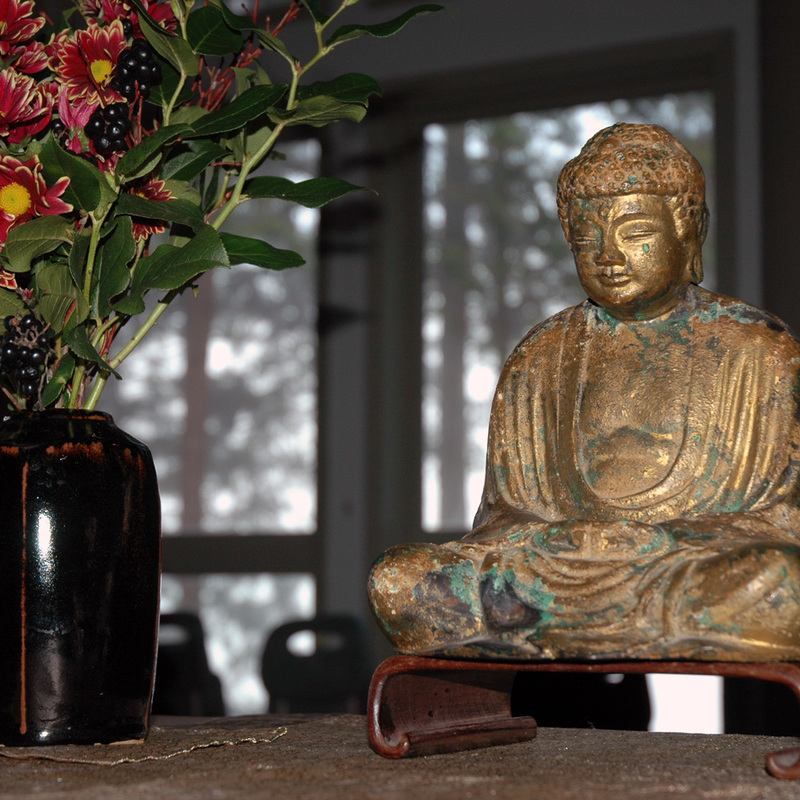 Sangha—the community of Buddhist practitioners, both local and global. Most widely, all awakening beings. The Triple Treasure or Three Jewels—Buddha, Dharma and Sangha. A practice in all Buddhist traditions is taking refuge in the Triple Treasure. Suffering/dissatisfaction (dukkha) is characteristic of human life. There is a cause of suffering—craving. There is liberation from, or cessation of suffering. There is a path to the liberation from suffering—the eightfold path. There is liberation from suffering. The Path to the liberation from suffering—the eightfold path.